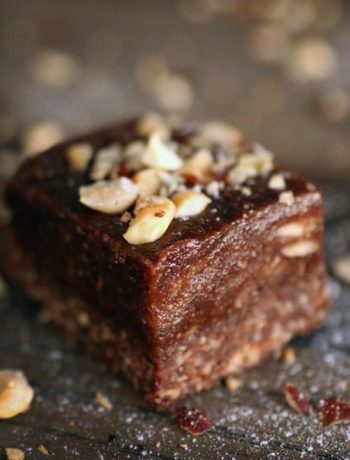 This cake so decadent that it’s hard to believe that it’s raw and healthy. 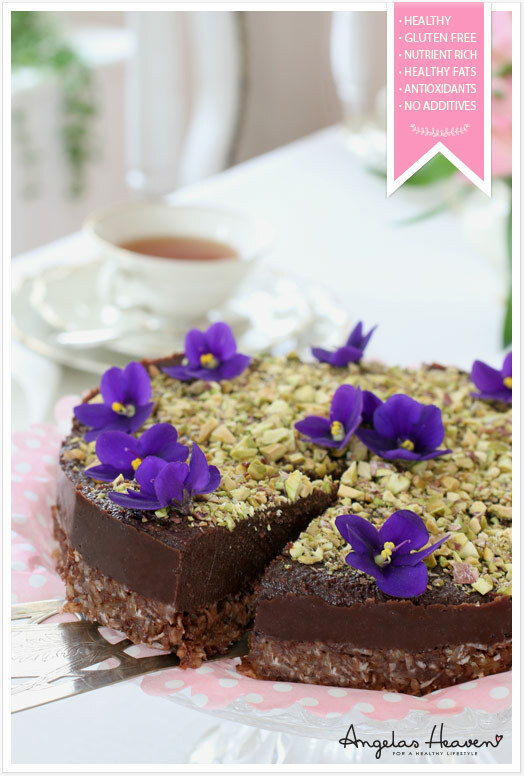 Last week when I was experimenting with new raw food recipes I came up with this recipe. 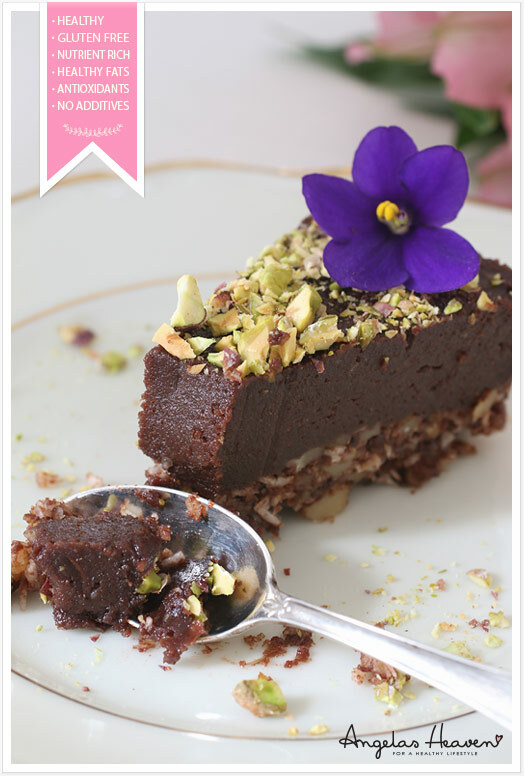 A raw chocolate cake – the best I have made so far. 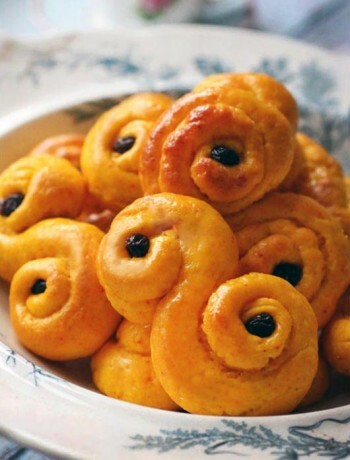 It has a rich, sweet flavor and it is so soft it almost melts in your mouth. I invited some friends over and we ate it all! Most of them had never tried raw food before and they couldn’t believe this was made by purely healthy ingredients. It was so good. Put the sunflower seeds in a food processor or a blender and blend well. Add the rest of the ingredients for the crust and and blend until it all starts to stick together. Press into the bottom of a springform cake pan, or adjustable pan (I used an adjustable pan set to about 7 inches). Put the cashews in a blender and blend until you get a smooth, creamy butter. 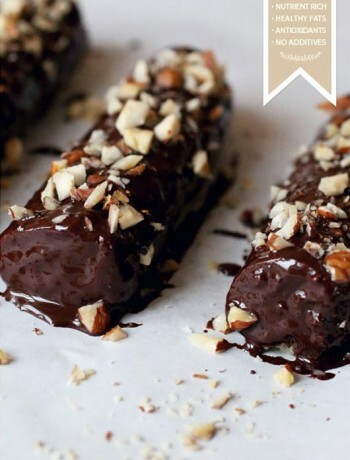 Add all of the ingredients for the chocolate filling and blend everything until smooth, thick and creamy. Pour onto your crust and let it set overnight or for at least a couple of hours. 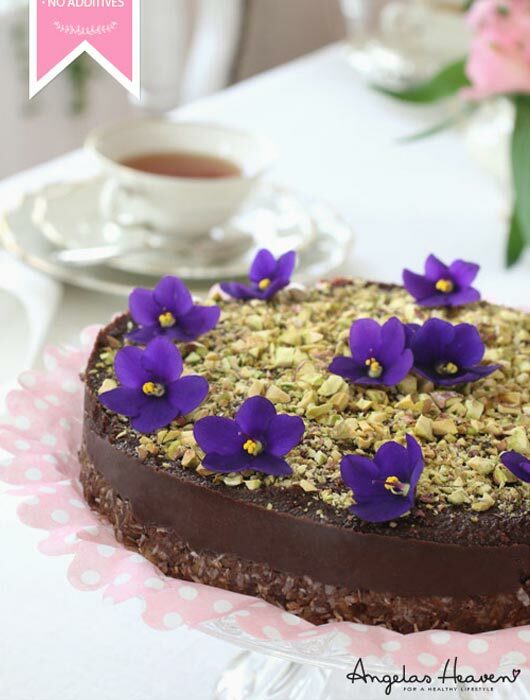 Decorate with finely chopped pistachio nuts or cocoa powder and some fresh organic flowers.